Team Summer is pleased to announce that 13-year-old Kayla has become our very first Team Summer Superstar Kid!! 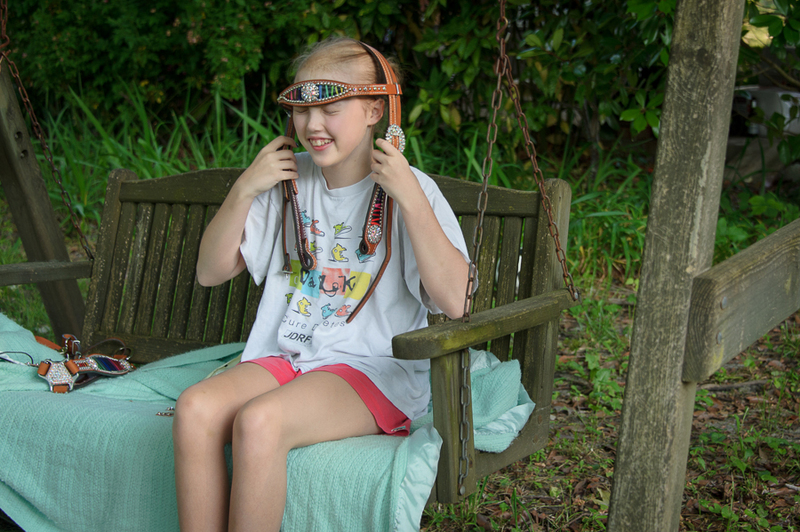 Kayla was diagnosed with a brain tumor back in January 2013. She came to us through 16-year-old Haley (thank you, Haley! ), who was battling cancer herself. Haley selected Kayla for a Team Summer gift and gave her fancy bling tack for her horse! And then Kayla’s heart took over in a big way! 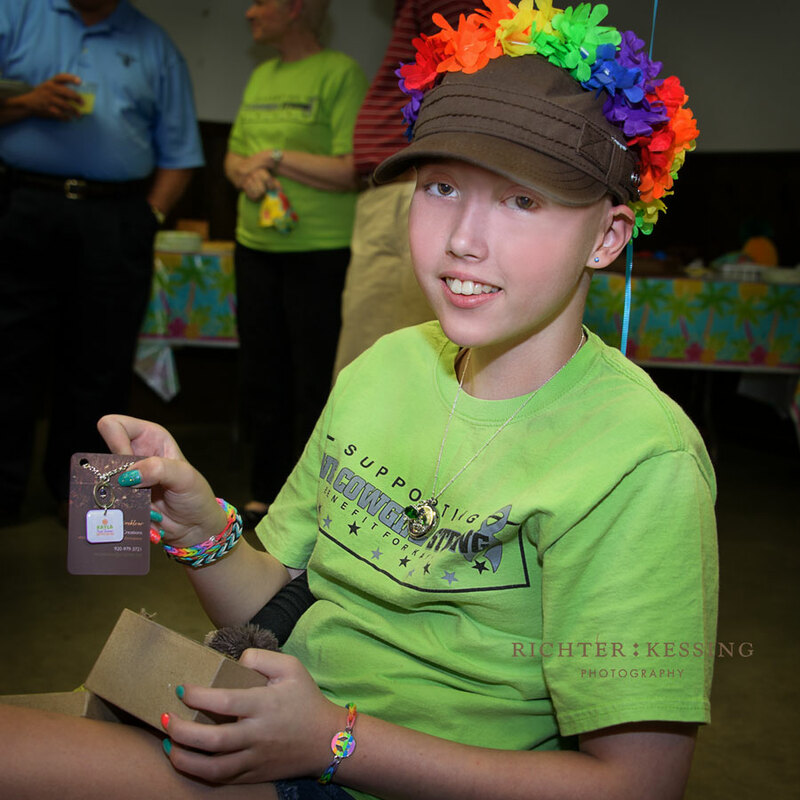 Despite everything she was going through – surgeries, hospital stays and endless rounds of chemo – Kayla stayed positive and paid it forward, giving back to other kids with cancer. In all, FOUR – count them FOUR! 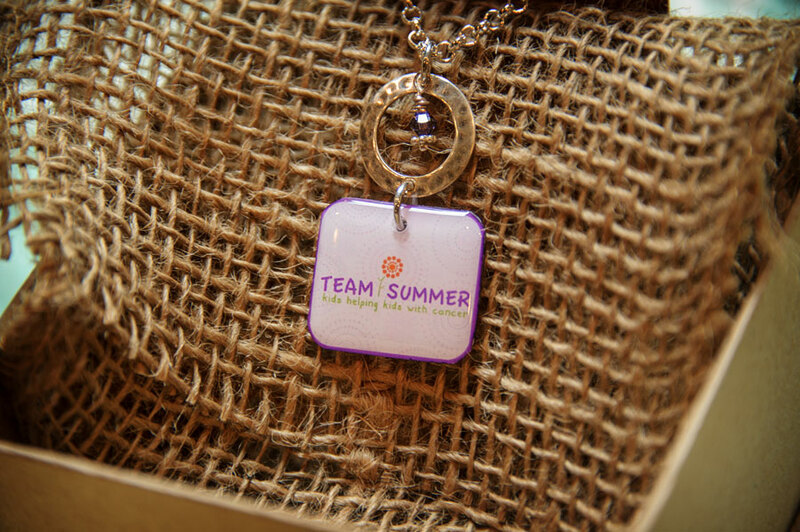 – Team Summer gifts! First, Kayla’s heart went out to 3-year-old Elizabeth, who was battling lymphoma. Kayla worried about how someone so young could get through everything she herself was dealing with. She found out that Elizabeth loved to borrow the hospital’s iPad, so with Team Summer’s help, she got Elizabeth one of her own to help her pass the time! Next she found 14-year-old Sydney. 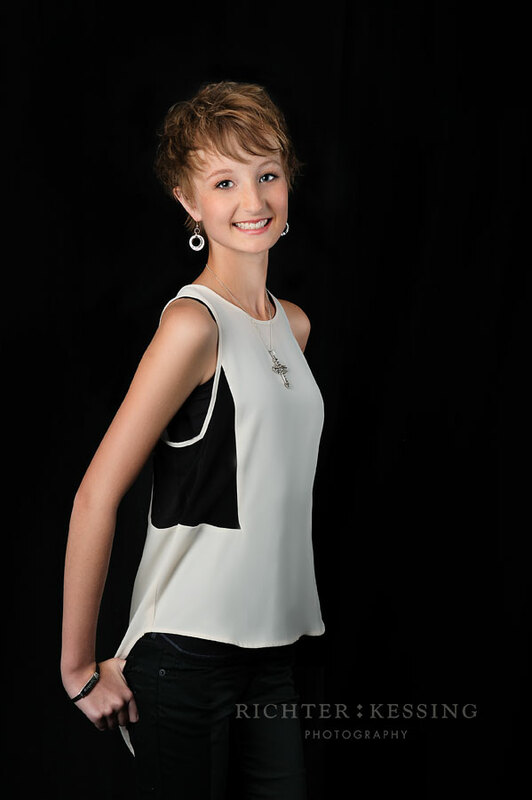 Tall and beautiful, Sydney was struggling with a recurrence of Ewing’s sarcoma which showed up as a tumor on her spine. Kayla found out that Sydney wanted to be a model when she grew up. 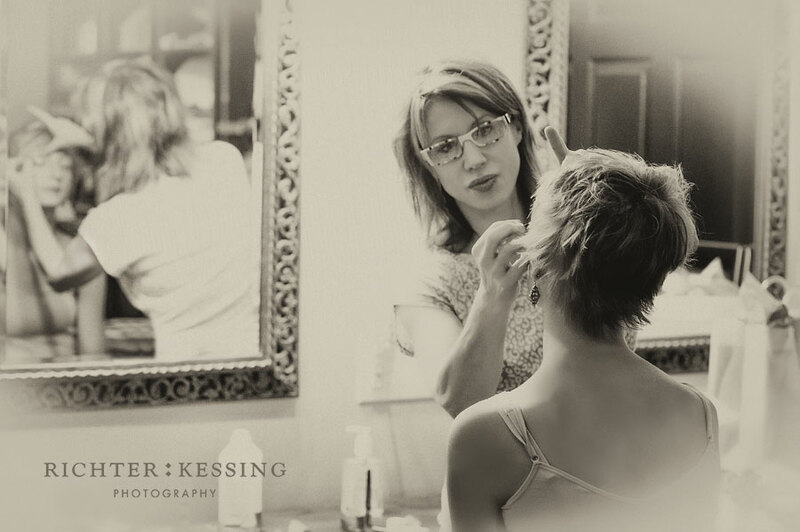 So Kayla gave her something she always wanted – a fashion photo shoot, complete with a professional makeup artist and photographer. Thanks to Kayla, cancer was not on Sydney’s mind the day these pictures were taken. Next, Kayla met 3-year-old Kaylee, who had been diagnosed with leukemia. They met at the hospital and became fast friends. 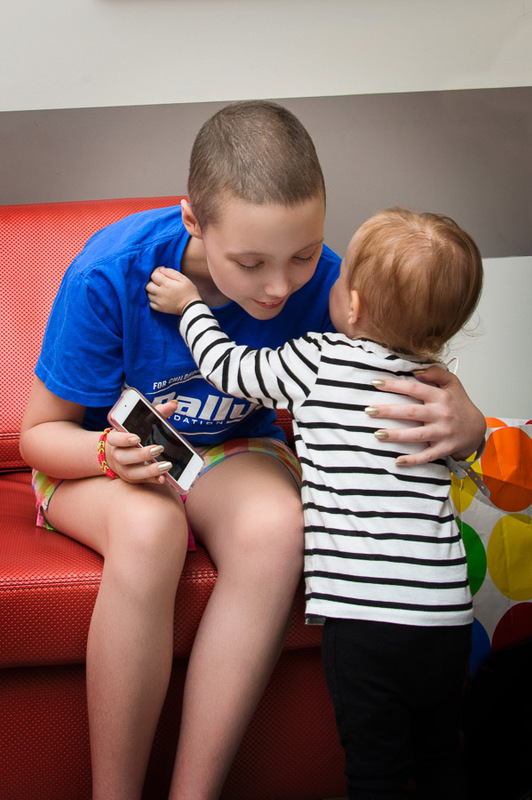 To keep Kaylee’s busy, busy mind occupied during chemotherapy, Kayla got her an iPod Touch so she could listen to her favorite songs. And Kayla did not stop there. 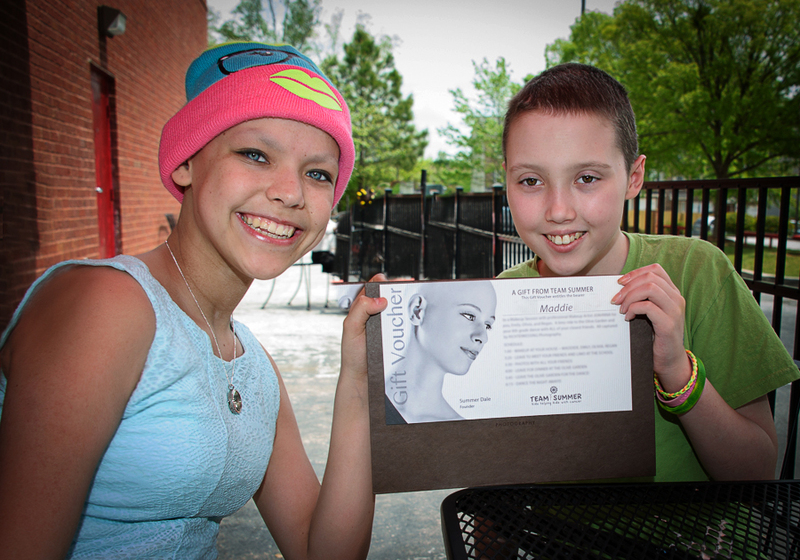 She made friends with 8th-grader Maddie who had recently been diagnosed with Ewing’s sarcoma. 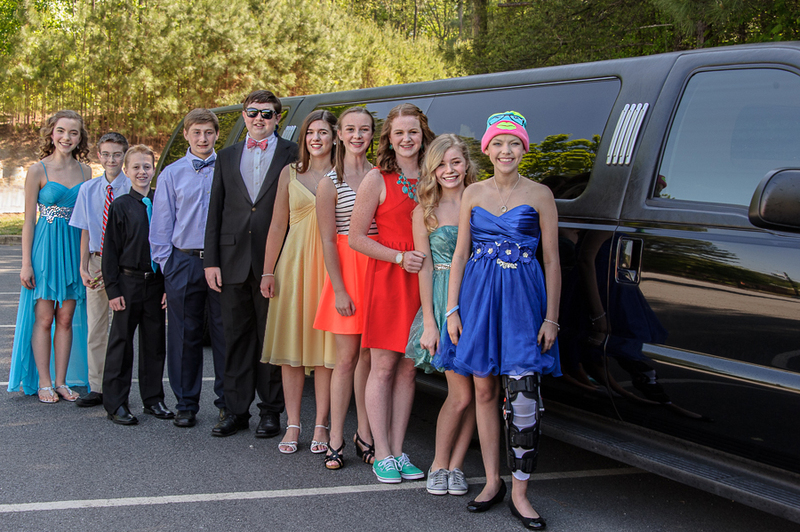 Kayla gave Maddie the evening of her life, complete with a makeup artist, dinner with all her friends, and a limo ride to the 8th grade dance! No doubt, Kayla got as much as she gave. 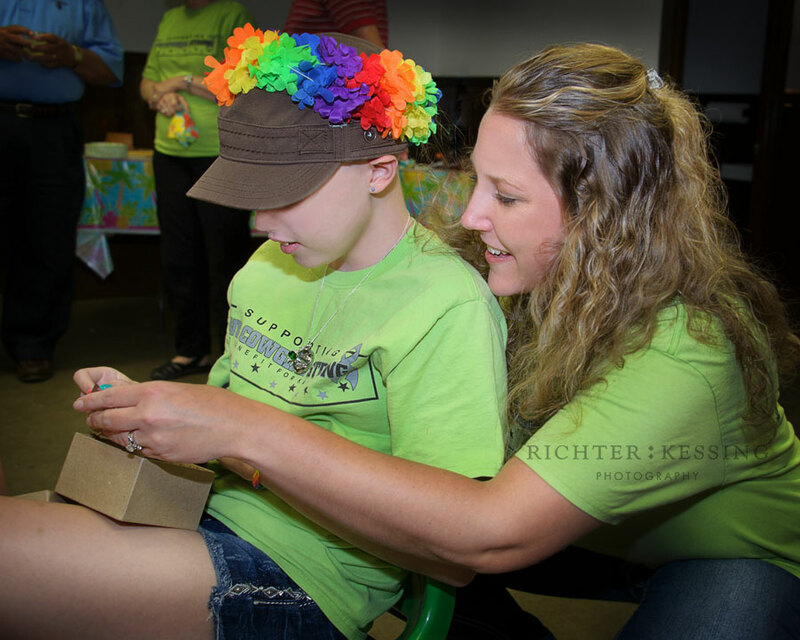 Her mother told us that for so many weeks, the only time Kayla smiled was when she was giving a Team Summer gift. At such a young age, Kayla learned what some of us never do – that the best way to help yourself is to help someone else. That idea is the very foundation of Team Summer, and Kayla exemplifies the best of who we are. 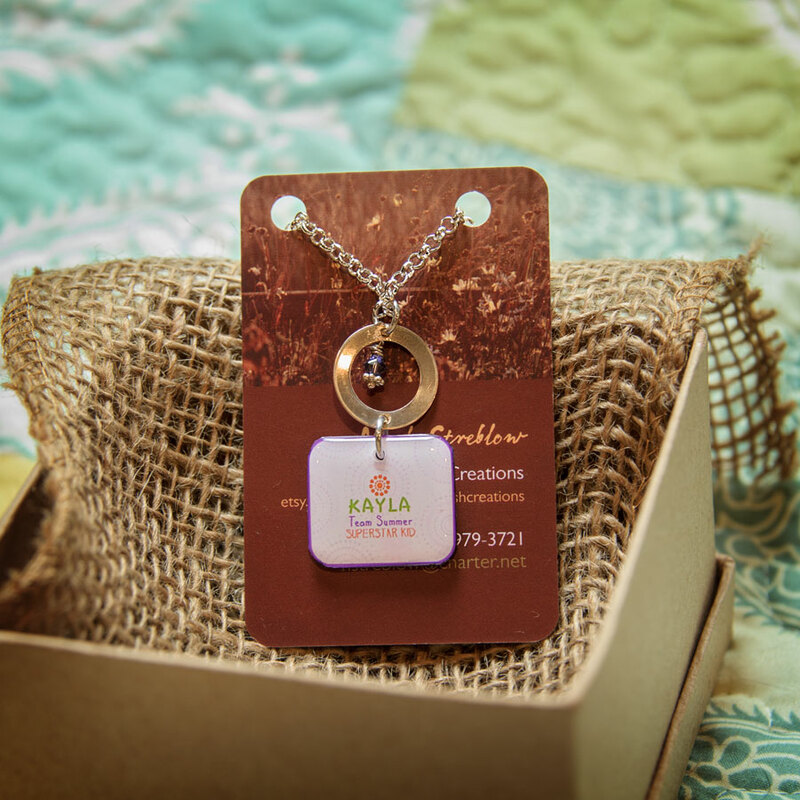 SOOOOO….Kayla has been named our very first Team Summer Superstar kid and was recently awarded a necklace made especially for her. All of us at Team Summer are floored by Kayla’s sweet heart. Here’s what it looks like on the back! We want to give a big thanks to Nicole Streblow of Edge of Marsh Creations for helping us create Kayla’s necklace. And we are so grateful to her for donating half the cost back to Team Summer! Thank you, Nicole! Beautiful job! Who will be the next Team Summer Superstar Kid? It all starts with the nomination of a Georgia kid who has been diagnosed with cancer. Anyone can nominate! Family, friends, even the kids themselves! Click here!